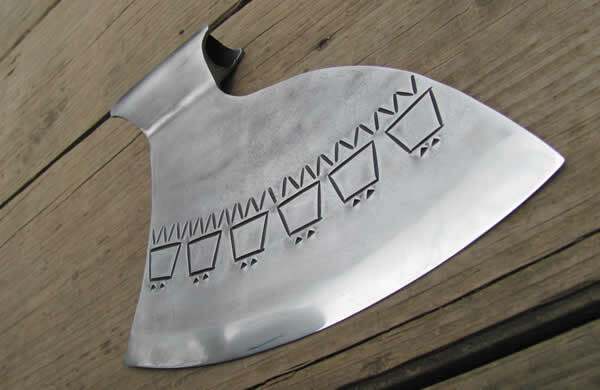 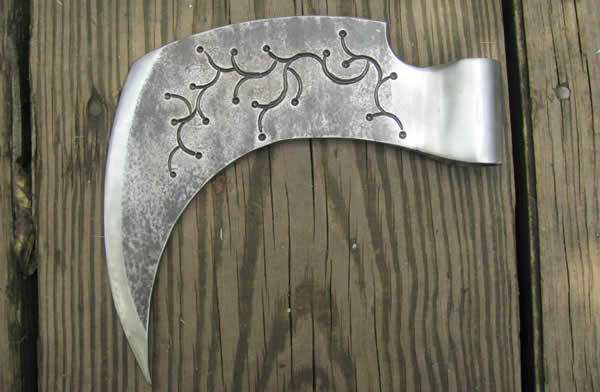 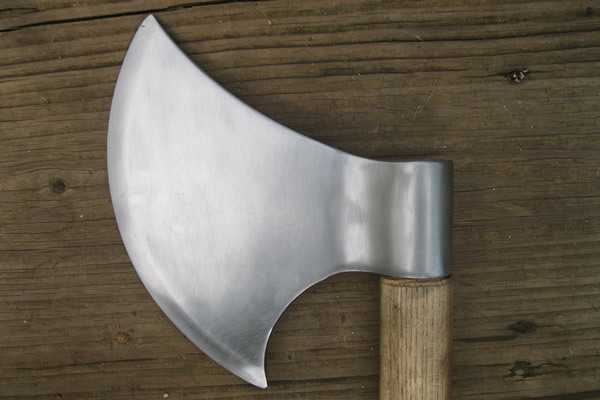 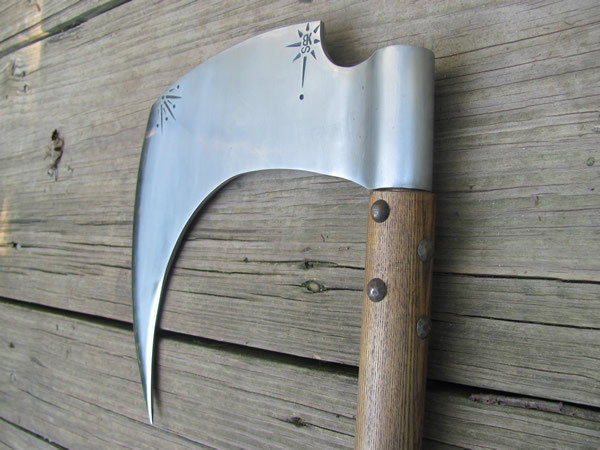 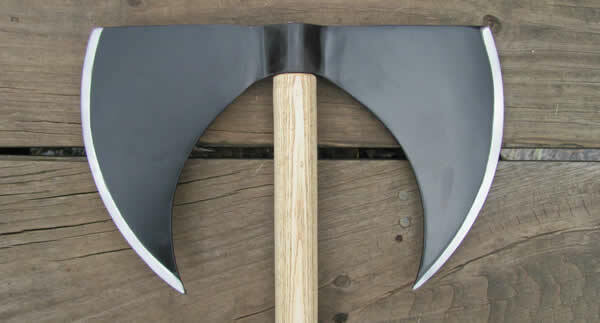 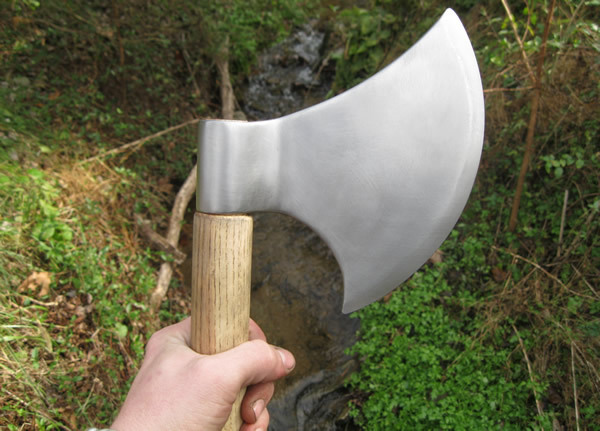 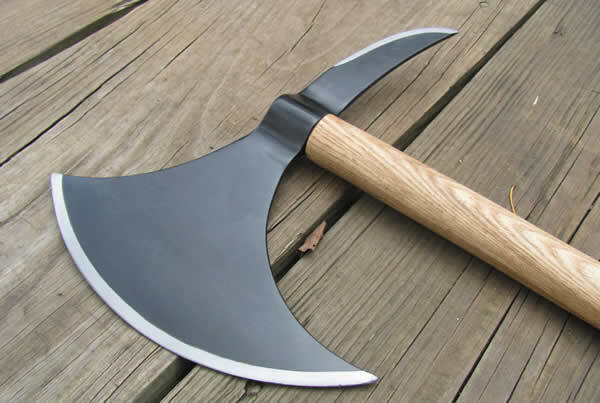 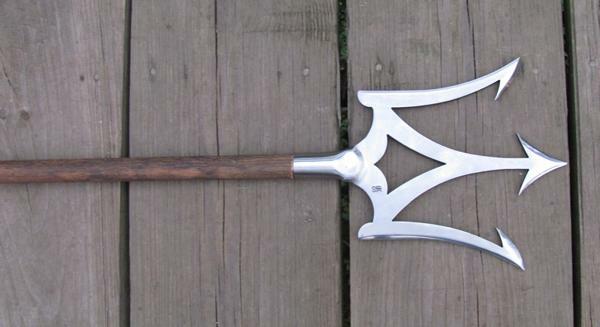 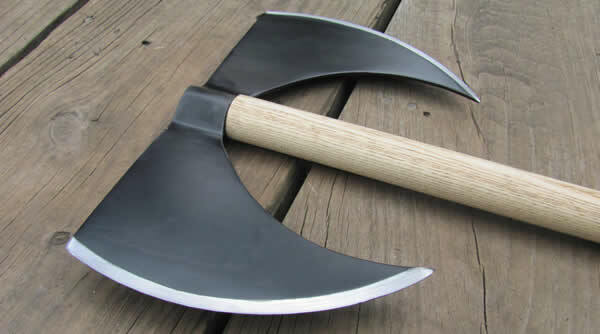 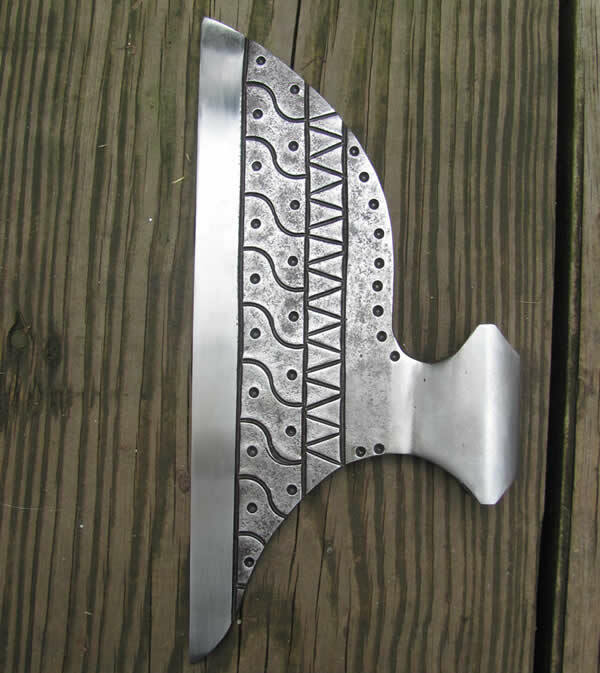 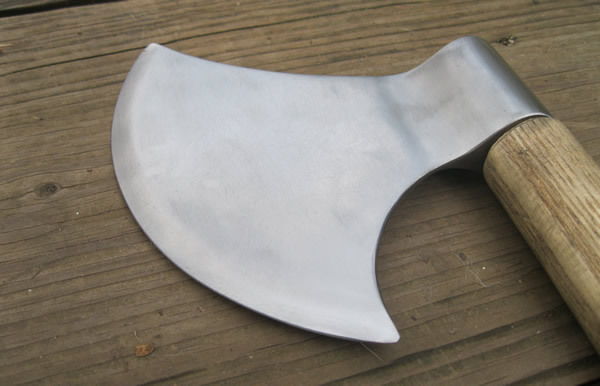 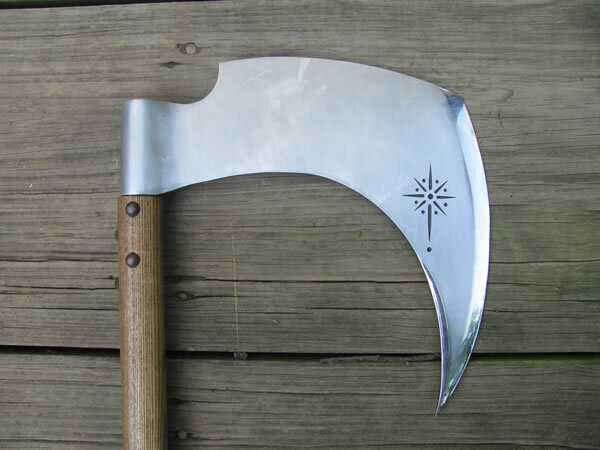 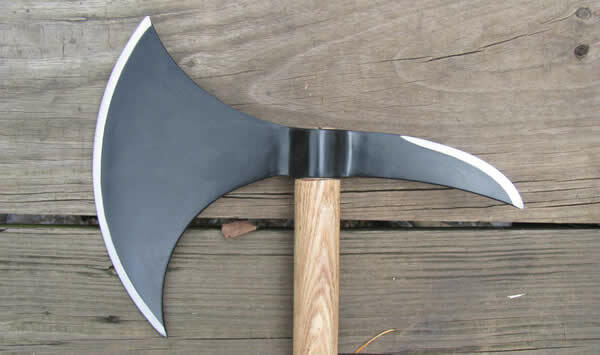 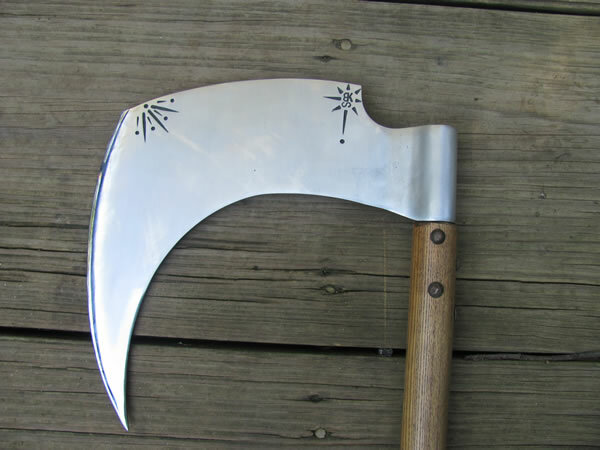 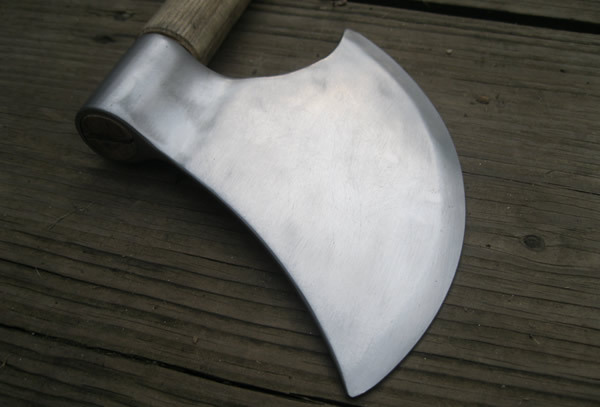 This is a sample of the axes that BKS makes. 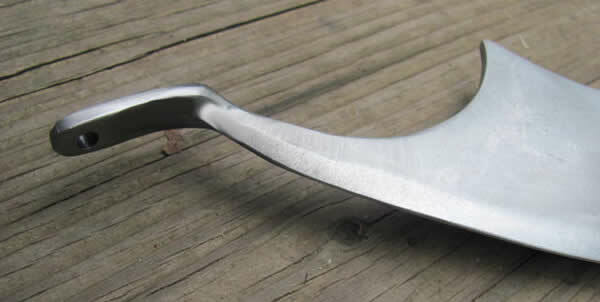 Standard edge comes blunted for stage use. 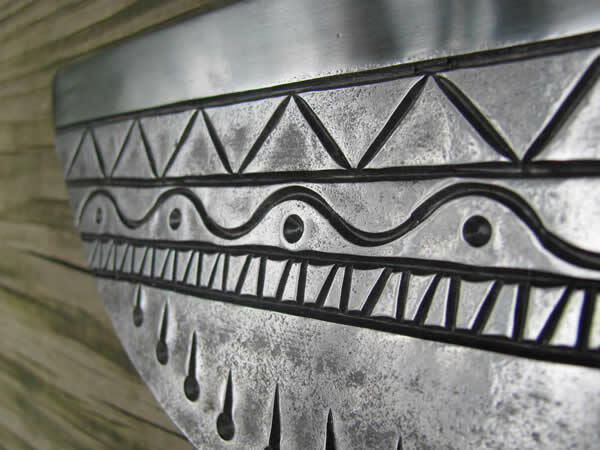 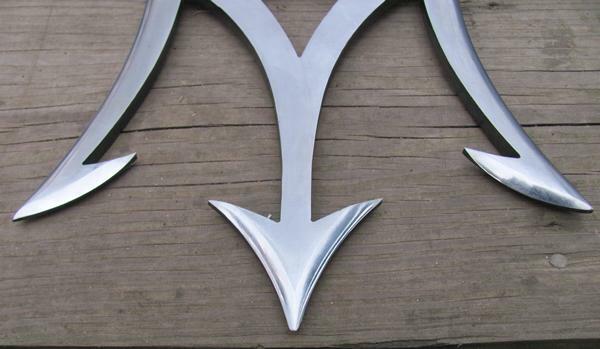 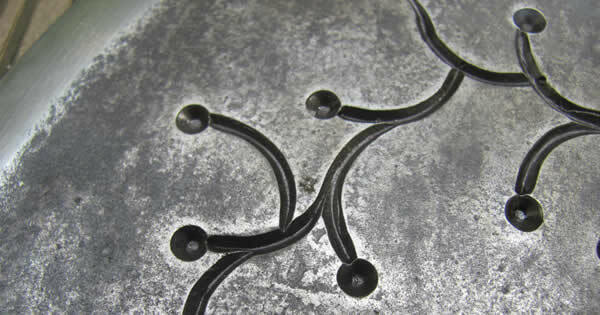 specify your desired finish when ordered or it will come our standard finish. 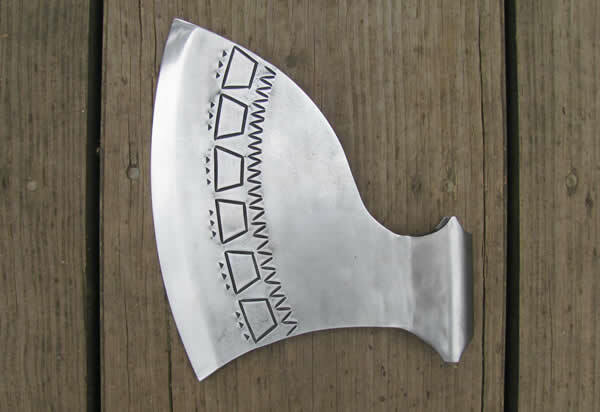 With what you are looking for and I am sure we can find a pattern that works. 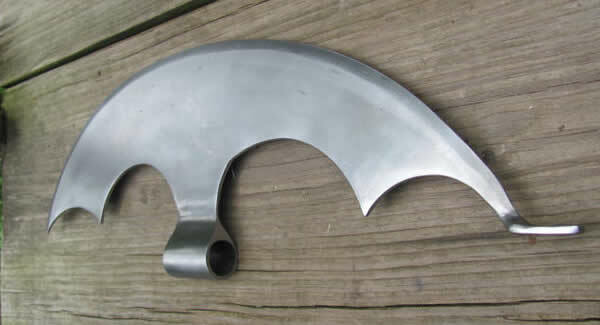 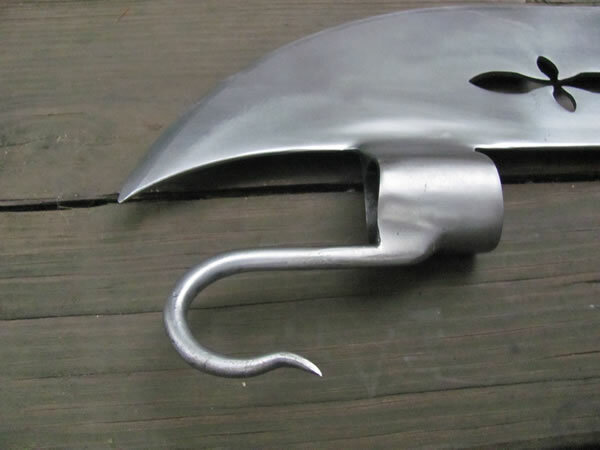 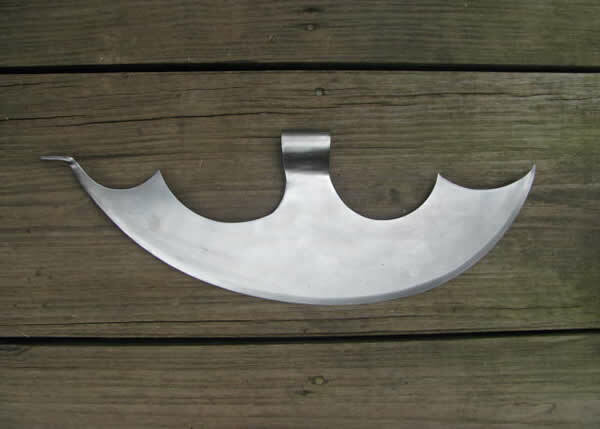 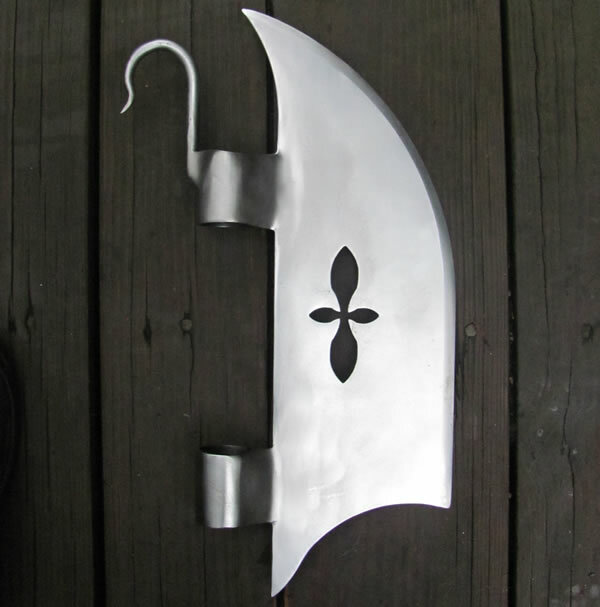 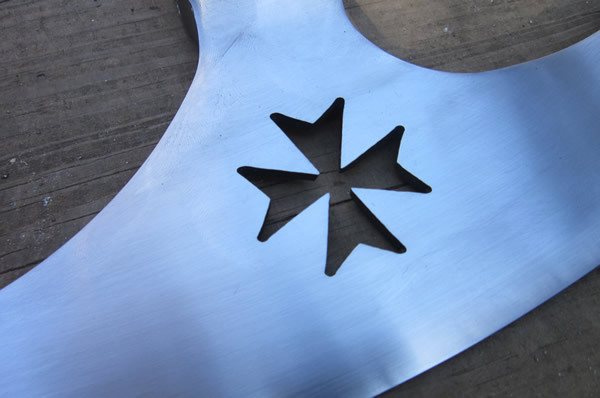 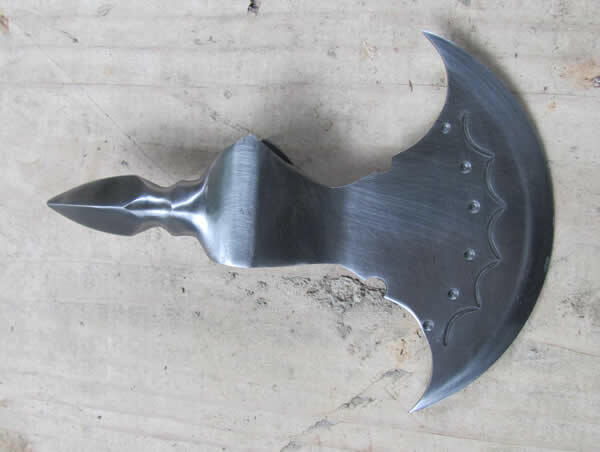 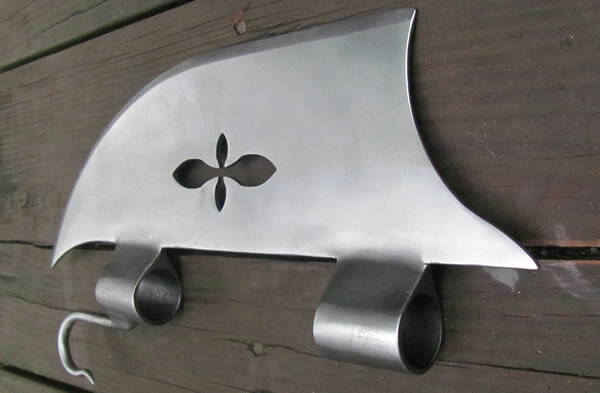 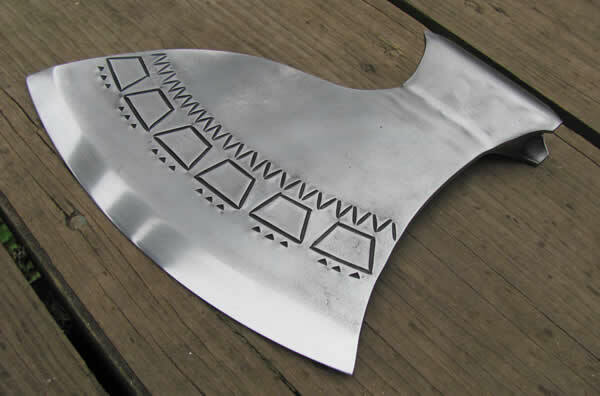 All of our axes are fabricated in house. 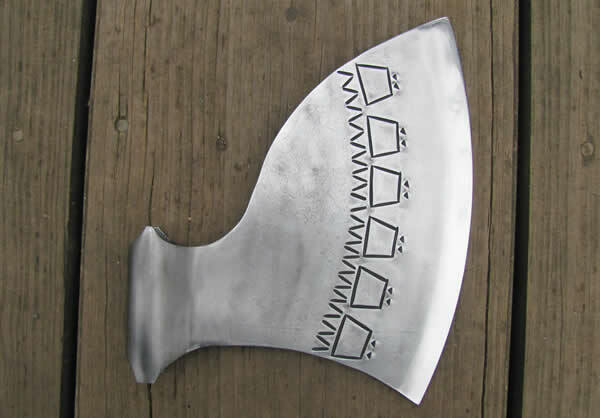 None are cast. 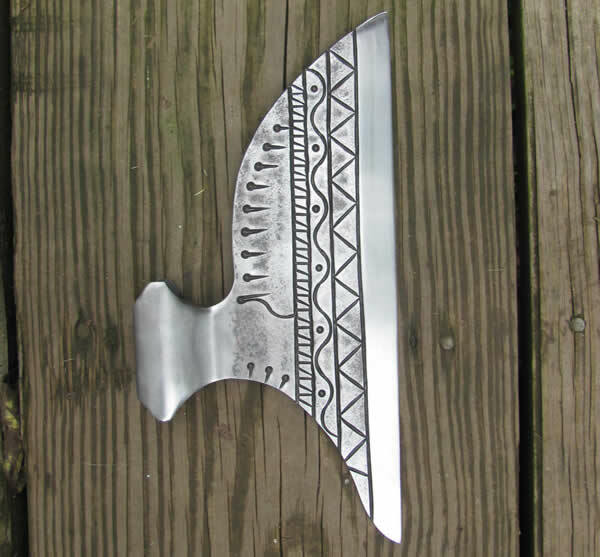 Many more patterns and styles available. 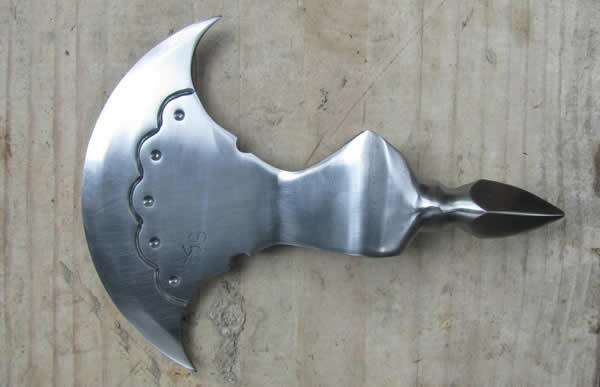 For more poll weapons Please visit our Smashers and Bashers Page.